Women figured out how to act in films before men. First, Mary Pickford figured out how to underplay for effect under the direction of D.W. Griffith, quickly becoming the world’s first movie superstar. Then, as Pickford moved toward independence, Griffith nurtured the careers of several talented young women, including Mae Marsh, Blanche Sweet, Lillian Gish, and Lillian’s sister Dorothy. To varying degrees, these women all mastered film acting before the equivalent men in Griffith’s stock company. Lillian Gish was a pioneer of film acting, blazing new paths in the wilderness. She was smart, dedicated to her craft, blessed with innate talent, and pretty. Only 18 years old when she signed on with the Biograph company in 1912, Lillian was everything that Griffith wanted for his Victorian melodramas. In her second year with the company, she performed in at least 15 two-reelers (roughly 20-minute-long shorts). I’ve watched two of Lillian’s 1913 shorts, The Mothering Heart and The Battle at Elderbush Gulch. She’s the star in The Mothering Heart but I prefer her as a supporting actress in The Battle at Elderbush Gulch, an ambitious three-reel western where Lillian plays a panic-stricken young mother attempting to find her baby in the middle of an Indian attack. She completely inhabits the role even when she’s in the background of scenes. She underplays her pantomime, expressively using her hands and eyes to reveal character. When the plot calls for hysterics, she keeps it believable, ratcheting up the emotion while staying in character. Please don’t take this as a recommendation for either The Mothering Heart or The Battle at Elderbush Gulch. 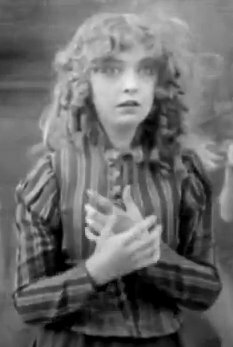 I find them fascinating documents of Lillian Gish’s growth as an actress, mastering an art that’s barely been imagined yet. But the movies themselves haven’t aged well. Both have scenes that showcase Griffith at his worst, with ugly racism toward Native Americans in Elderbush Gulch and cloying sentimentality in The Mothering Heart. The promise of Lilian’s early performances was more than fulfilled during the following 15 years of her career. You can see the roots of her masterful performances in movies like The Wind (1928), The Scarlet Letter (1926), and Way Down East (1920) back in these early shorts, when the art of film acting was blossoming for the first time. Miss Gish is a wonder. Who is the actress playing the embattled mothers in SOPHIE'S CHOICE, KRAMER VS KRAMER and THE RIVER WILD, and what did she learn from the master? And will these three movies feel dated a hundred years from their release to a not-so-different world of racist, cloying sentimentality?